New York is a glass shelf lighting fixture made up of two parts that can be used either together for wall mount with end caps, or just the upper part alone for inside a cabinet. The wall mount version fully supports the glass panel. 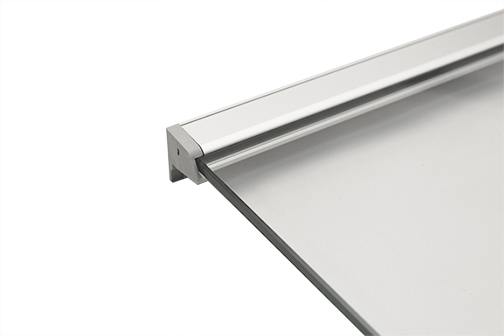 Available for 0.24 in (6 mm) and 0.31 in (8 mm) glass shelves.